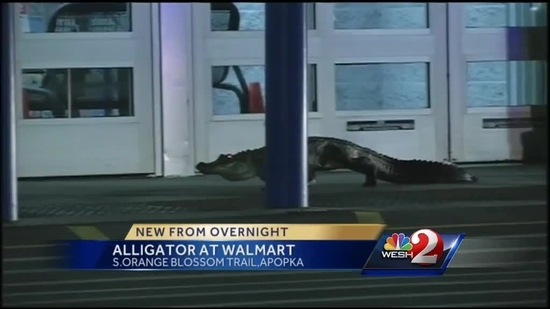 A six foot alligator went shopping at a Walmart in Florida. Proving that, yes, Walmart can be even more white trash than it already is. Mario Turchiarolo is a film/TV/and comic book writer. He’s also a foodie who loves to cook and eat. Check out his food blog The Bite at http://the-biteblog.blogspot.com. You think he went there to buy some crocks? He was probably just going to buy a six-pack of beer and some Doritos, then go back to the swamp.